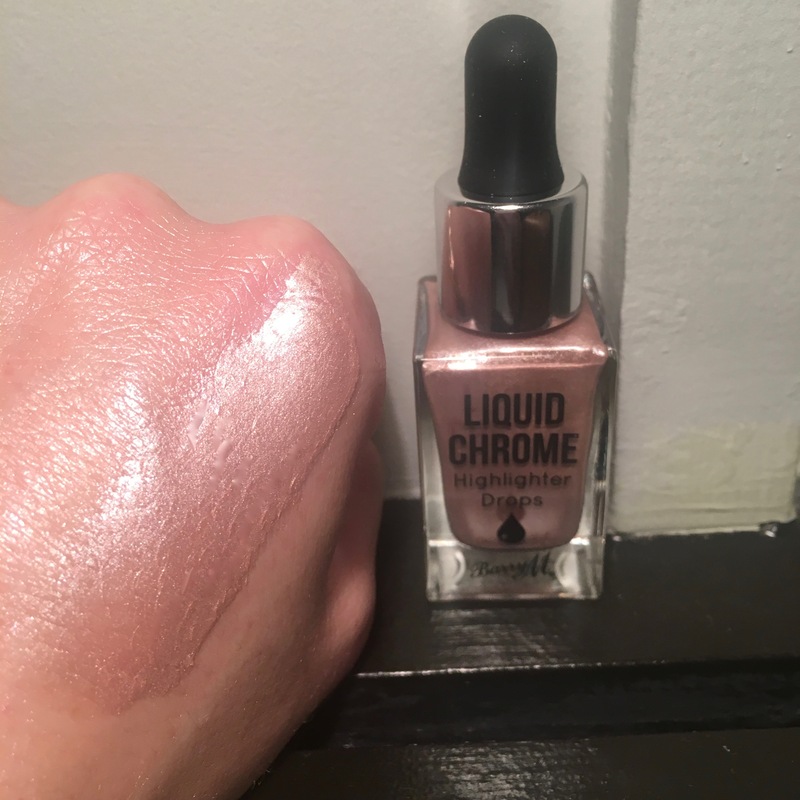 New for Autumn from Barry M – ‘Liquid Chrome Highlighter Drops’. I was lucky enough to be sent the whole range of them to try. 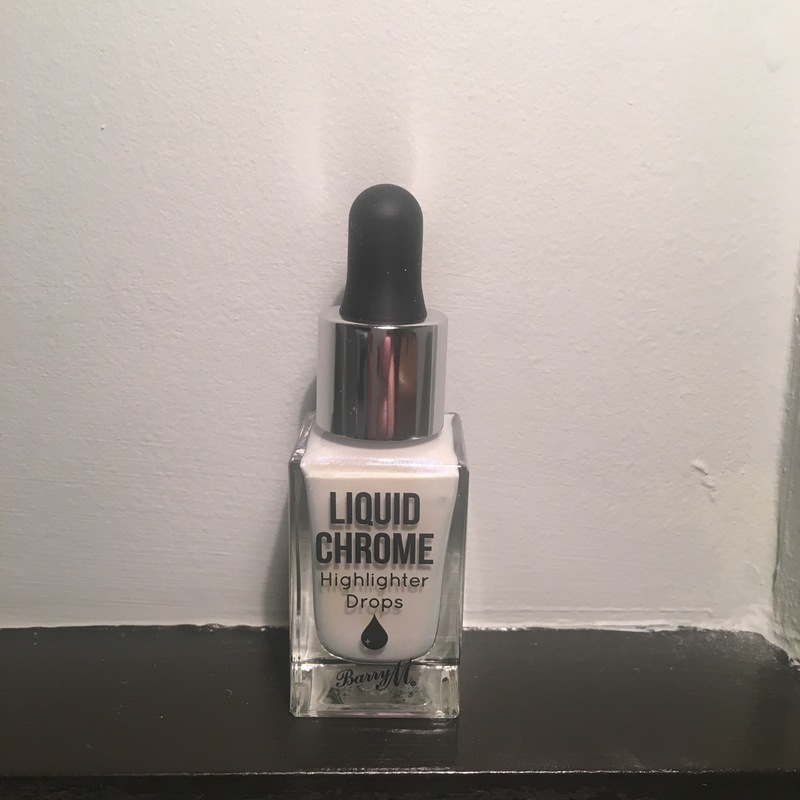 The first thing I would say about the formulation that is packaged in dropper bottles is that a tiny bit goes a long way. 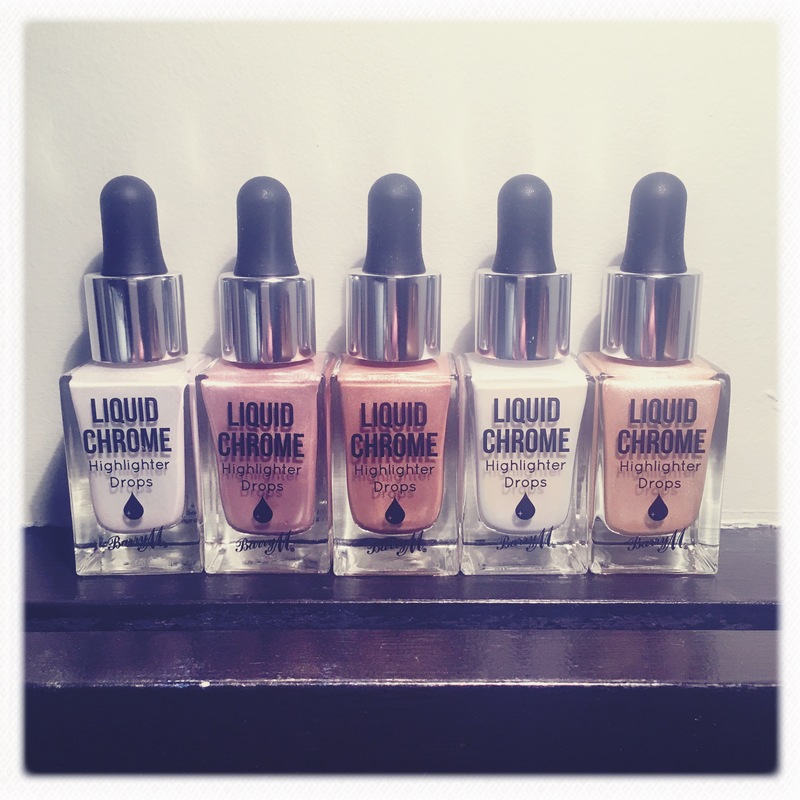 These are highly pigmented formulas! Barry M is such an affordable, well packaged and fun make-up range. Although I do like pieces of expensive make-up, the quality you can find at high street prices means it’s not always necessary to spend a fortune. Barry M is a British make-up brand, cruelty free and was set up by make-up artist Barry Mero in 1982. He became known for embracing bold choices in colour and style – which was vital for the 80’s. 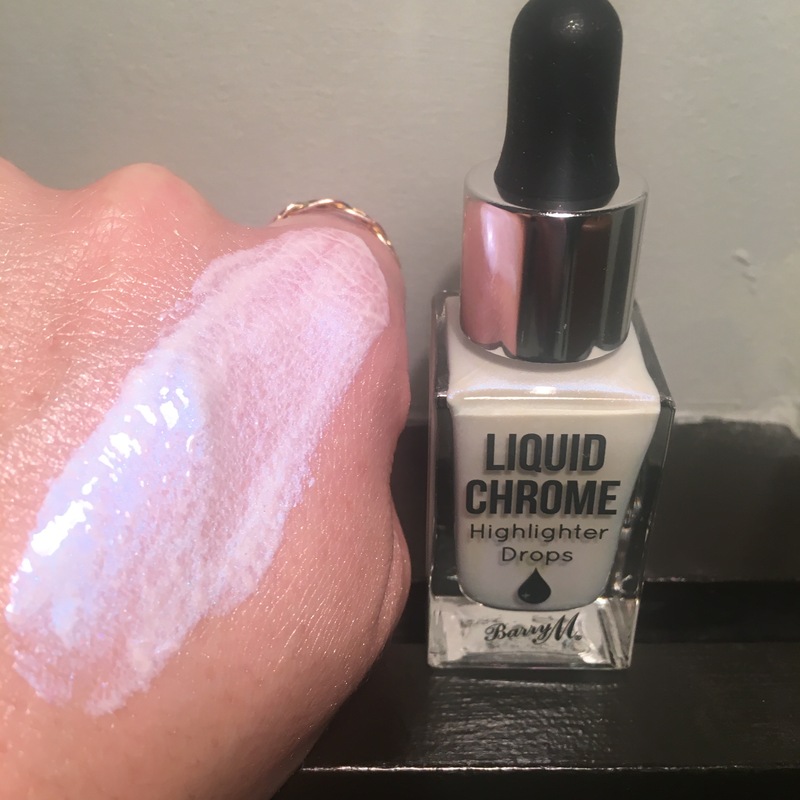 I love a bit of Moon Potion – white based highlighter with a soft blue undertone. Ice Cold. 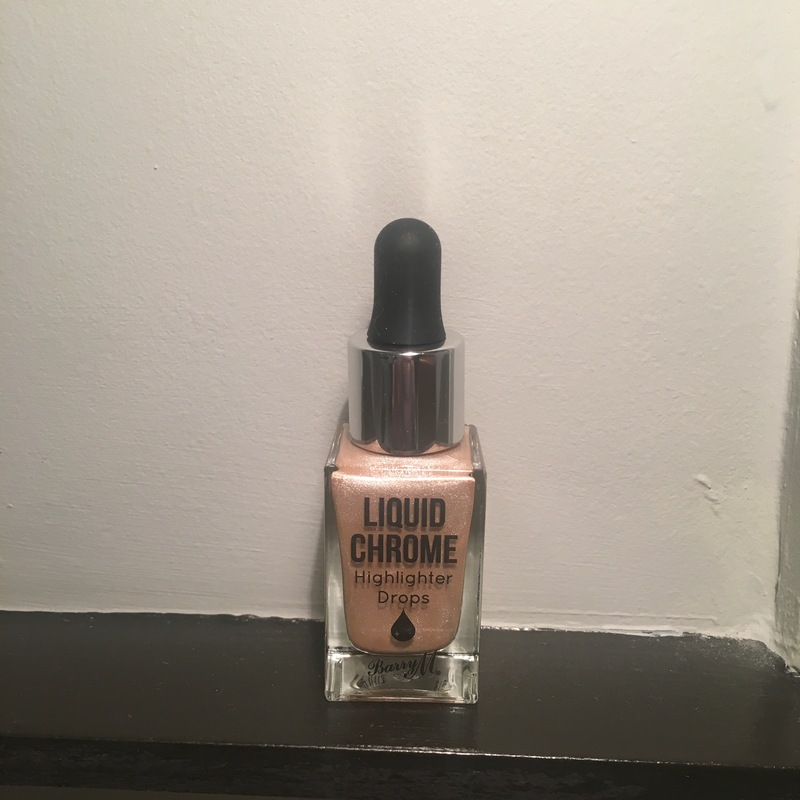 I’ve been using the highlighters on my cheekbones, underneath the brow bone and a tiny amount down the centre of the nose. 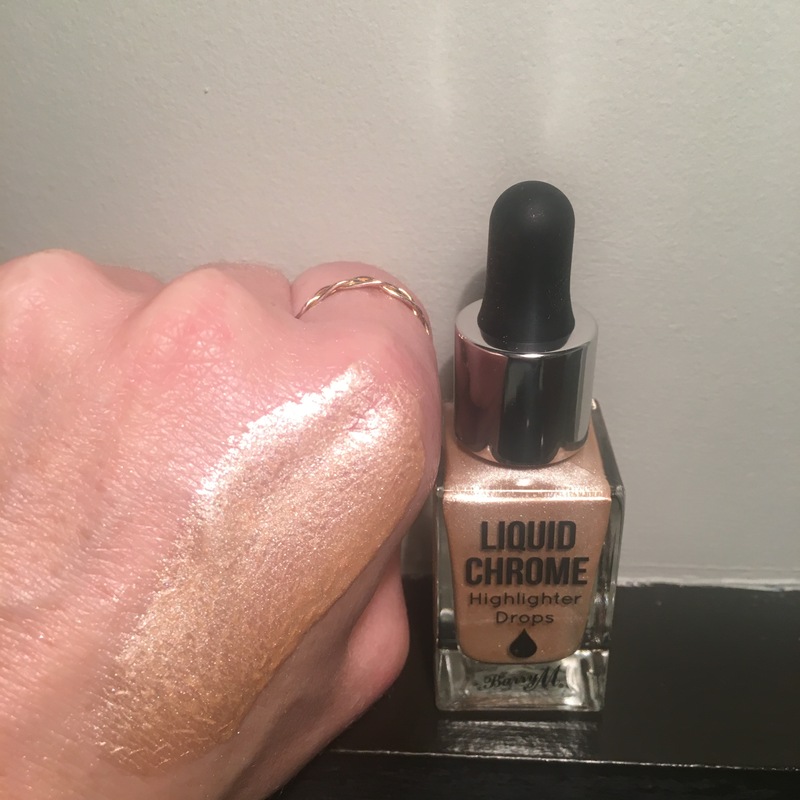 They are versatile and can also be mixed with foundation for a lift – but a word of caution on that – I would apply the tiniest amount to a foundation mix or you are in danger of looking over chromed – the pigment is intense! 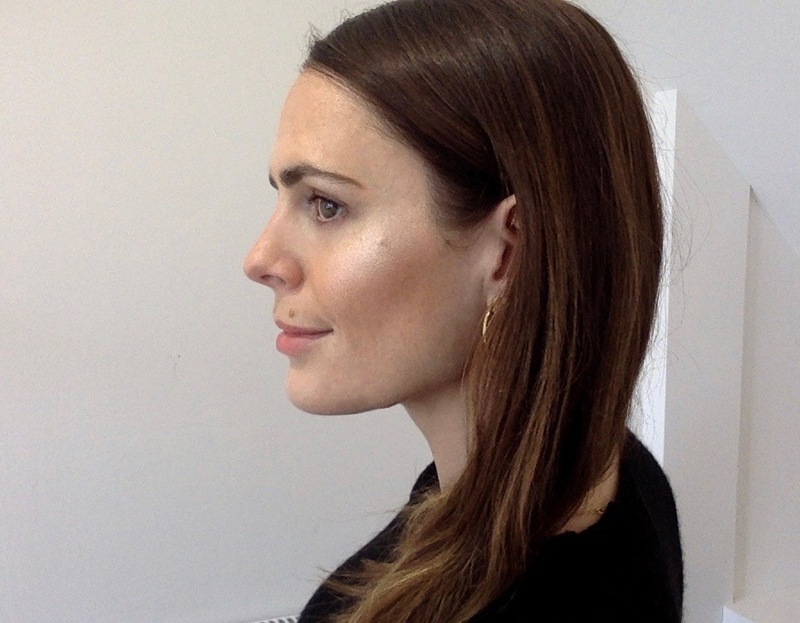 The other way I sometimes apply an intense highlighter is to use the highlighter first and then apply a tinted moisturiser or light foundation – that way it glows from underneath in the areas that you have chosen to highlight. 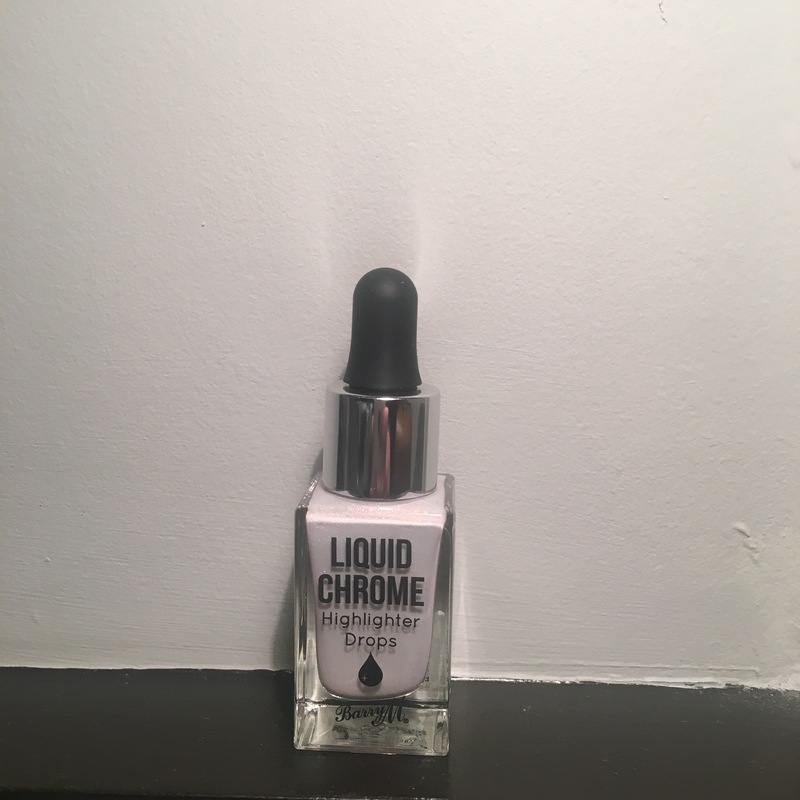 If you want a really natural look, perhaps if you have great skin that you want to enhance, apply a moisturiser and then with the outside of the hands rub a few drops of highlighter and press into the cheekbones. The highlights can be applied with fingertips or hands, a damp sponge, or a brush. 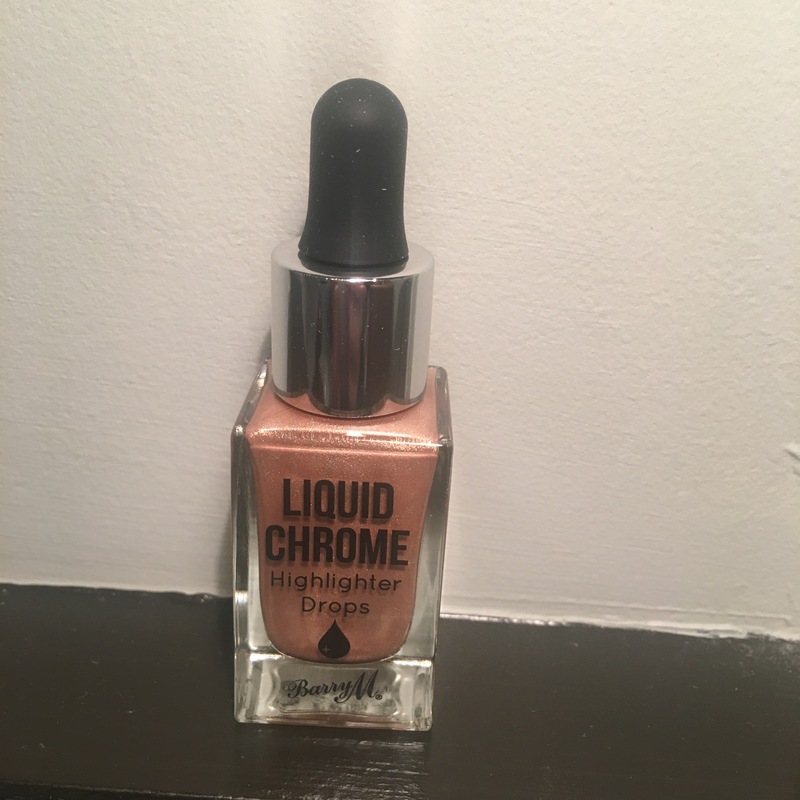 I think these highlighters are really great value for money, they are versatile and give the skin a fabulous glow when your skin is feeling a little dull. I have ‘Moon Potion’ in my travel cosmetics bag. Even in a hurry in the morning a dab on the cheekbones over moisturiser brightens the skin immeasurably. 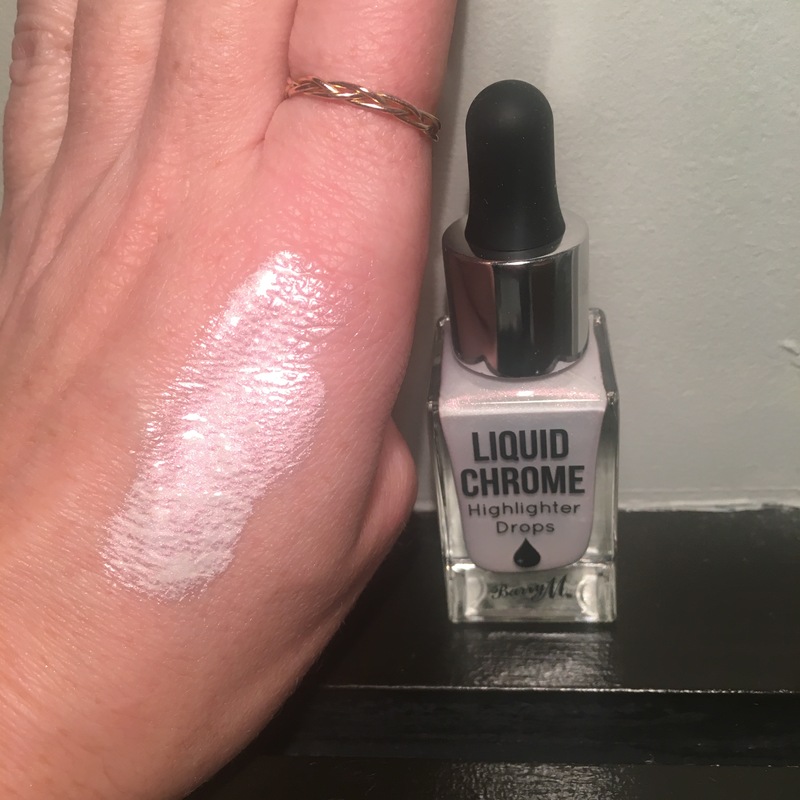 Can also be used on the inner corner of the eyes. 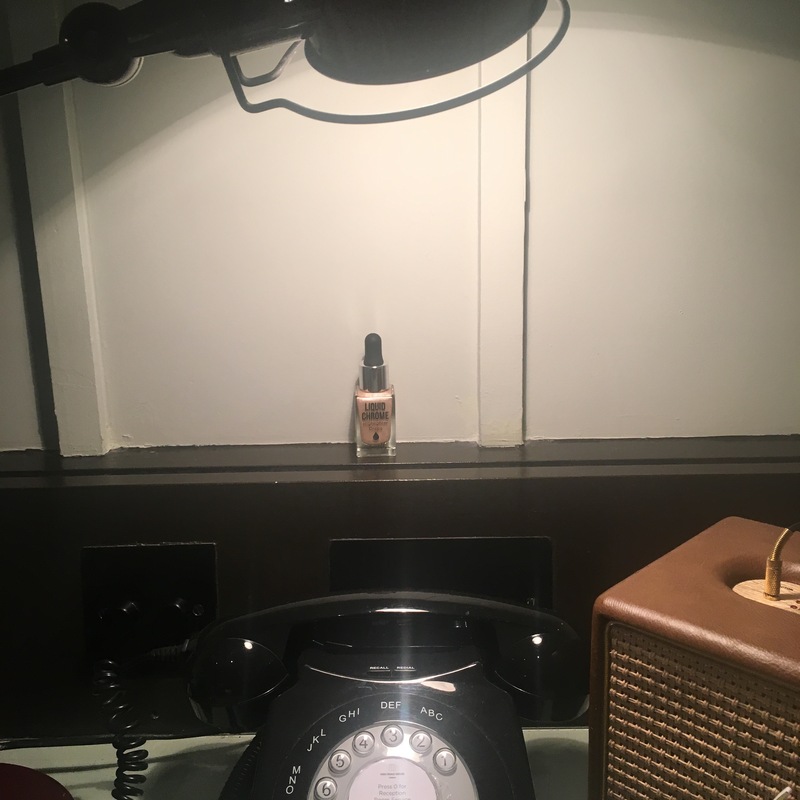 A few drops can also be blended with a body moisturiser for an emergency glow on the legs, arms or collarbone. 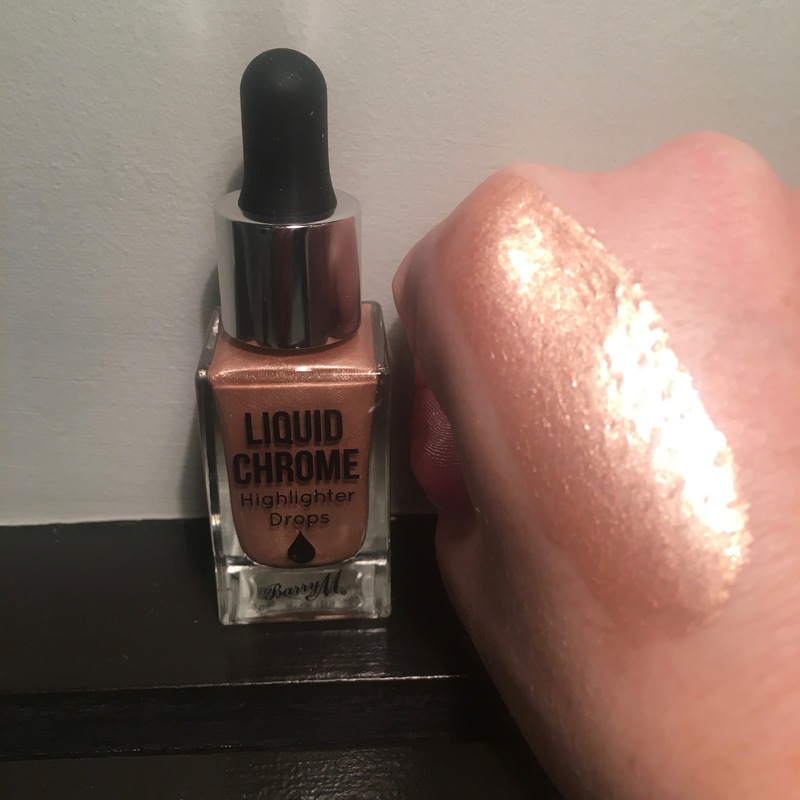 Remember that lighter highlighters can sometimes really flatter darker skins and vice versa. I’m pale and I really love and can use the lighter shades but it’s a mistake to think those are the only highlights you can use. If something is too dark blend it down with some moisturiser. As for darker skins the biggest enhancement can be a lighter (well blended) highlighter. Let me know if you try them! And remember a little goes a long way. 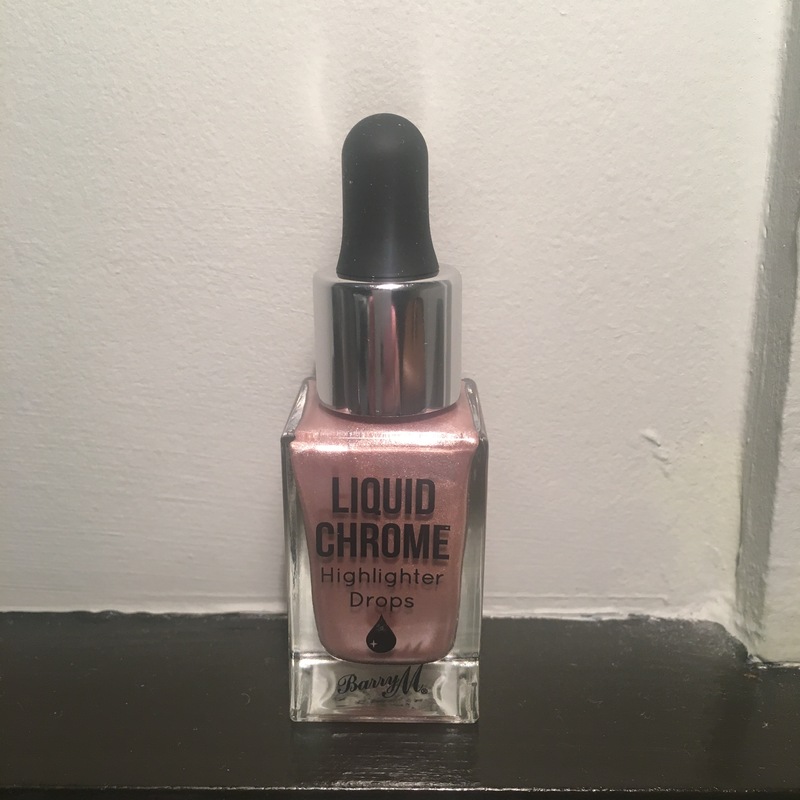 I’ve heard so much about the Barry M Highlighter Drops and I really want to try them out. 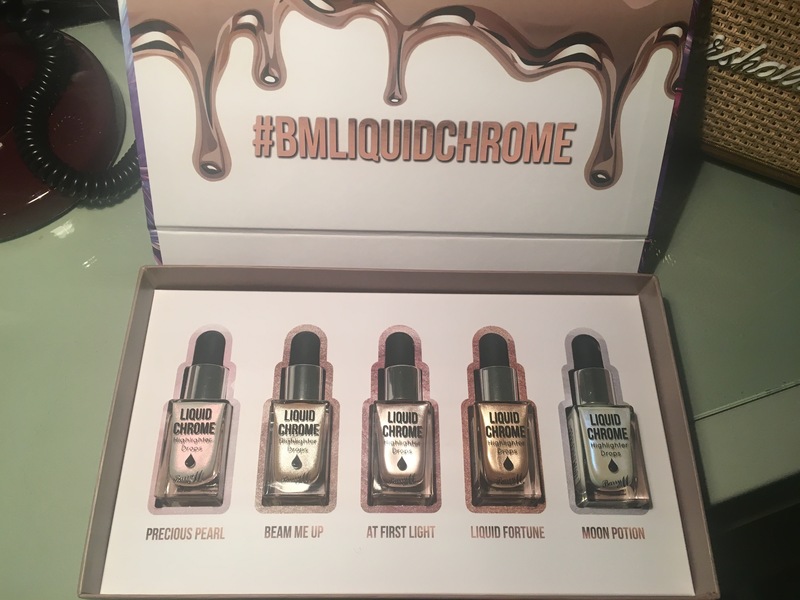 I’m a massive fan of Barry M and I want to add some highlight products to my makeup collection.